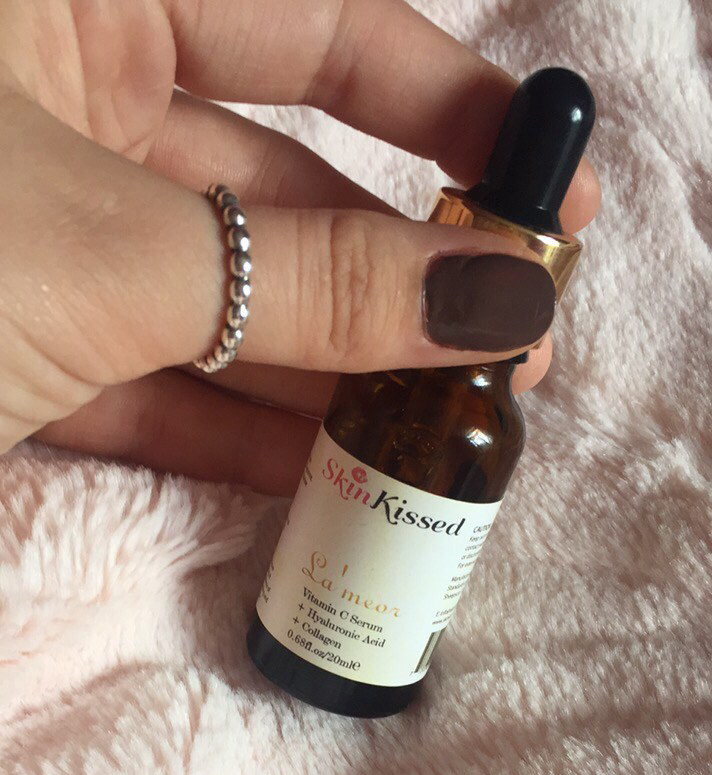 When Skinkissed sent me* their Vitamin C Serum I was over the moon. I made my mum, sister and even my boyfriend try some because it is MAGIC. So thank you so much to Skinkissed for sending me the serum that has made me such a happy girl. This serum retails for £39.95 which I don’t think is that bad if you are paying for something that is going to work. With skin care I think you can afford to pay that little bit more in order to keep your face looking and feeling great. When I first saw the price of this product I was abit like “Wow, that is a lot” but once I used it I was like “OH MY GOD” (I am not even exaggerating.) it is honestly worth every penny. I have been using this product for just over a month now and this has given me enough time to really examine the results from using this serum. So writing this review is perfect as I have my little notebook next to me with all of my notes in it from using this product. When I first started using it for the first couple of days, I noticed a difference with my spots and dry skin. When I had only been using it for 2 days I noticed a difference regarding the fine lines on my face because THEY HAVE DISAPPEARED! I am not even kidding you guys, they completely went! I found this sooo hard to believe that i actually had to get my mum to check my face with my iPhone flash on! I honestly thought, how could this product have worked so well so quick? but it did. Skinkissed DO NOT test on animals which I think is incredible as it is so hard to find a brand that are cruelty free. It has hydrated my skin and got rid of any dry skin. I have really really dry skin, especially during the winter and sometimes it makes me feel really insecure especially when I have foundation on. Using this product has nourished and moisturised my skin so much, that it has got rid of all of my dry skin and so when i put my foundation on i feel so much more confident. I find that when I exfoliate and then use this serum it really helps to buffer the dry skin and moisturise the skin. I would also say it definitely makes your skin glow a lot more, it gives it a natural shine. I don’t really suffer with ache, I sometimes get the odd spot but when I do the spot likes to make its presence known. Recently I have been stressed out and havent been eating the best, this serum has helped to calm the spots down on my face. This applies to the ones that might already be on my face and any that I can feel coming up. The first thing that I noticed when I used this serum, is that it got rid of any fine lines. I remember going downstairs to my mum and being like “omg mum this serum is actually amazing, it has got rid of any fine lines on my face” and my mum was like let me use some haha. This was the first noticeable difference that I noticed, so the lines around my mouth and especially under my eyes went. I don’t really have bags as I am only 20 but any of the very fine lines under my eyes disappeared. This made such a big difference when it came to me using concealer under my eyes. It did make my skin feel fresh and awake, especially in the morning when I would first use it. It is quite tacky but in a good way, where it soaks into the skin nice and quick. It made me feel more awake in the mornings which was good as sometimes I am rushing to go to work. I am only 20 so this one is hard to comment on, but it definitely made my skin look more glowy and radiant. YES YES YES! This makes such a great primer because it is so tacky and really helps the foundation stick to your face. My foundation lasts so much longer when I use this under my foundation and also none of my dry skin will appear when I use this and then my foundation. However, I do still like to use my normal primer on top of this. So personally the best things that this serum did for me was sort out my dry skin, get rid of spots and get rid of any fine lines. This was my first proper serum that I have used before and one thing I did notice about the product was that it was such a great size. Perfect for travelling, not too big but not too small and I like that. I like that the lid of the product is a little plastic sponge that you pinch together and the product gets sucked up- reminds me of when I used to study science in school lol! I will add a little picture below in case you are confused as to what I am talking about haha. The liquid inside is yellow, but when you apply it to your face your face doesn’t turn yellow which is great as who wants a yellow face? The liquid works really nicely into your skin and it doesn’t stay on your hands for ages which is great. The liquid is really running, so I like to squirt the product onto my hand and then using my other hand tap my finger in the product then onto my face so I am evenly getting all of my face. I do wish that the little paper strip across the bottle was plastic or laminated as it did get dirty really quick. I know a couple of other people who have also tried this product and they love it just as much as me. If you think you would want to give this serum a go then check out their website! the great thing about this product is that if you don’t like it and you don’t think it works, then they offer a 30 Day Money Back Guarantee ( that is how confident they are that their product will work for you ) they also have an amazing online chat on their website where you can talk to experts about the products and any questions that you might have. You can get 20% off of your order if you use the code “sophia_tranterxxx-20” which brings the serum down to £31.96 which is amazing and you also get FREE SHIPPING. 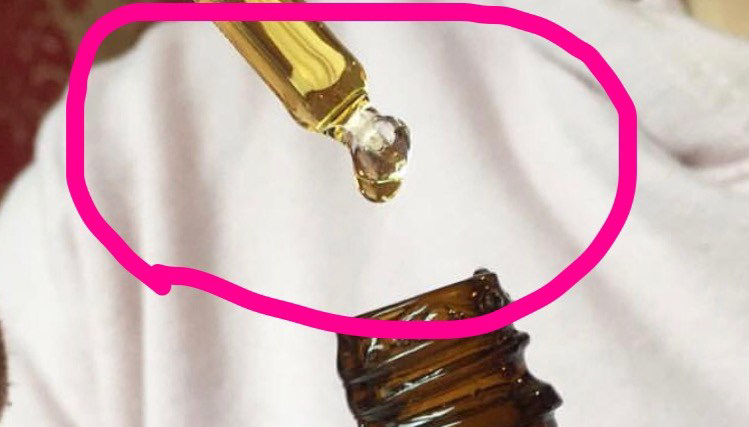 Does this serum sound like the sort of product you would like? what are your thoughts? I agree! I think a lot of people push skincare aside and are just about the makeup! I tried this too and loved it!!! I hate it so much! This has worked amazingly for me, I would 100% recommend it! Never tried any skinkissed products but this serum sound promising. I love serums that can work as a primer too. Wonderful and helpful presentation! it is really great! same that is always a bonus! I have never tried a serum before but this one seems really effective! Do you think you will? and its great! This sounds like such a great product, I’ll have to try it out! I love love love that you kept a notebook of, well, notes, on how the product worked! That’s such a good idea! The serum sounds so so good!